Our next market in Levenshulme takes place on Saturday 4th August 2018, 10am to 4pm. Find us on the Levenshulme train station car park, M19 3AB. 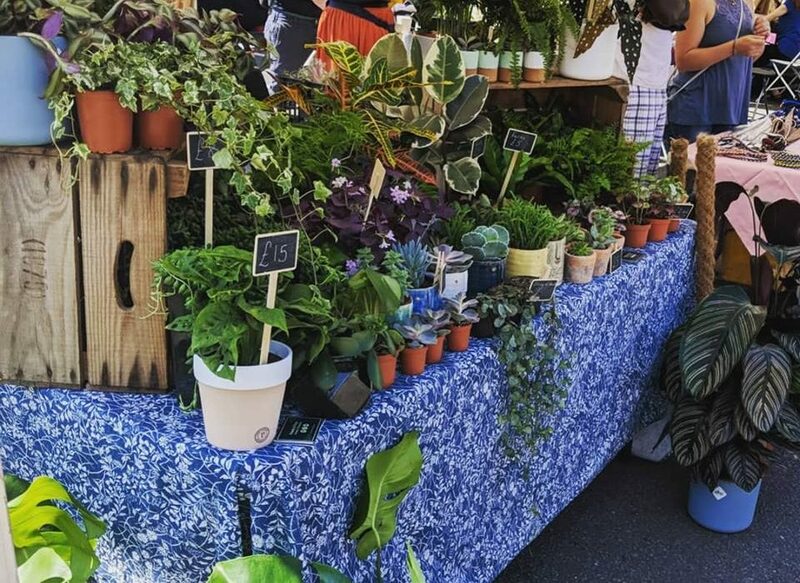 We’re having a particularly good run of stall lists recently, and our first market of August is no different – it’s big, it’s lovely and it’ll all be waiting for you right in the heart of Levenshulme come the weekend. We’ve also got a couple of special guests to tell you about, including the Station South crew who will be asking, nay DEMANDING, your ideas and hopes for the outside and inside of their new building, what you’d like to see on the menu and how you would like to be involved in the future. Head here to find out more. 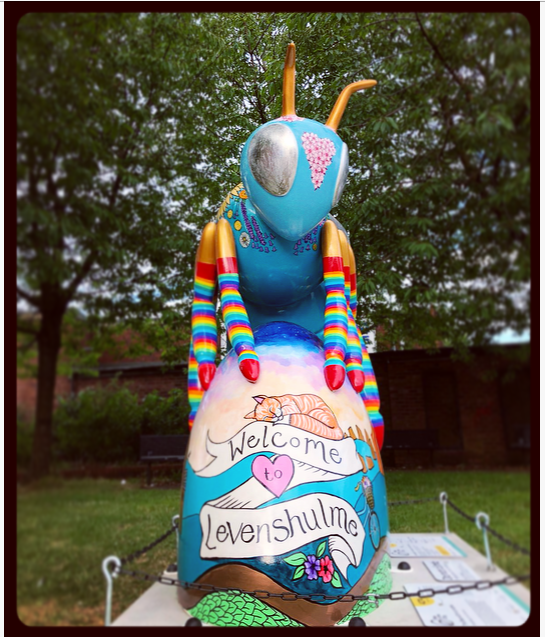 Visitors to the market will also notice that we have a new friend opposite our site – our new Bee in the City ‘Bee With No Name’ over on the Village Green! The Owl and the Coconut, fellow local social enterprise and a key part of the bee project, will be throwing a welcome party over on the green with face painting, cake and more. If you’re visiting the market, pop over and see them! As always, we’ve got something for the kids, as John Pindar Arts will be on hand for creative printmaking at just £1 a child all day long. Our run of live music at the market continues! We’ve had live music on nearly every market this year, where we’ve been treated to all kinds of emerging and established musical talent, and we’re not stopping now! August is packed with entertaining treats, starting on Saturday 4th August with live music from Manchester soul singer and guitarist Tom Eccles. Have a listen to him here. 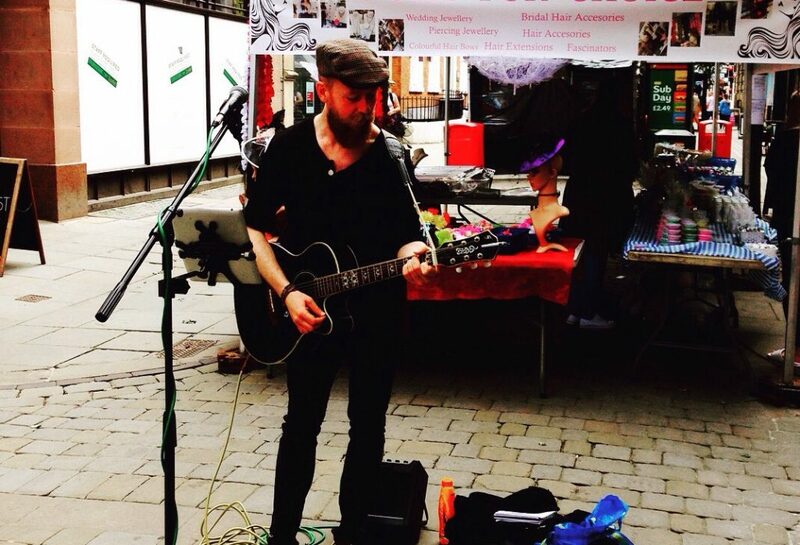 Recently returned to the UK following a busking music adventure in Europe, Tom plays emotive, exciting, original music and covers at events all across the north of England. It’s blues, soul, folk – New Manchester music. We can’t wait to hear it! Catch Tom Eccles live at Levy Market at 1pm.